Herbs are useful plants that can be used to brew delicious, healthful teas or add zing to a number of culinary dishes, but it's easy to forget that herbs are also attractive plants that add color and variety to the home landscape. Herbs are especially suited for warm, dry climates, and once established they require very little maintenance. Although the climate in Arizona can be extreme, herbs will grow and thrive with a bit of extra preparation. Purchase young plants at a local garden center or nursery that specializes in herbs. Choose locally-grown plants to ensure that they are suited to Arizona's hot, arid climate. Choose compact plants with bright, even color and avoid herbs with yellow leaves or tall, spindly growth. Prepare a planting location where the herbs will be exposed to at least six hours of sunlight per day. In Arizona's hot, desert climate, herbs will benefit from morning sunlight and shade during the afternoon. 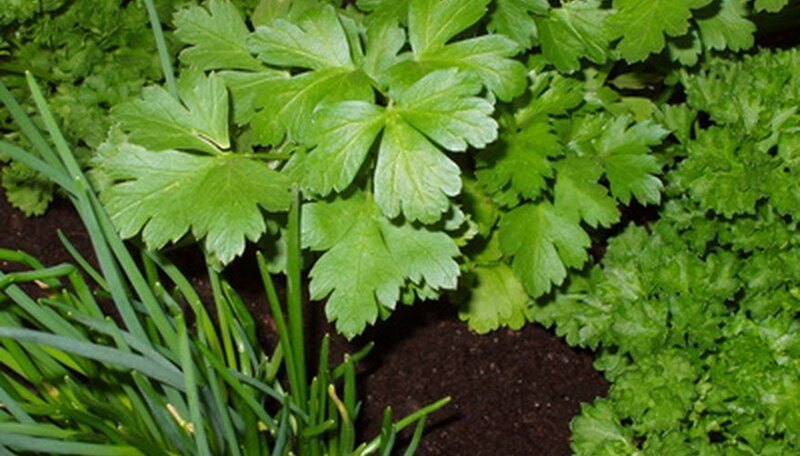 Plant herbs in late summer or early autumn, so you can harvest them before the following summer. Cultivate the soil to a depth of 8 to 12 inches using a garden fork or a hoe. Herbs require well-drained soil, but Arizona soil is often comprised of a large percentage of clay which will cause the soil to retain water. If this is the case in your location, rake in 4 to 6 inches of compost or peat moss to improve drainage. Dig a small hole for each herb plant, using a trowel or a shovel. Plant the herbs at the same soil depth they were planted in the container, as planting the herbs too deeply can cause the plants to rot. Fill the hole with soil that was removed and tamp the soil lightly around the roots. Water the plants deeply at planting time and keep the soil slightly damp until you see new growth. After that time, water deeply, then allow the soil to dry out before the next watering. Soil can dry out quickly in Arizona's desert climate, so check the soil daily. If the herbs begin to wilt, they should be watered immediately. Fertilize the herb plants at planting time, using an all-purpose water-soluble fertilizer. After that time, herbs need no additional chemical fertilizer. However, because Arizona's desert soil is often nutrient poor, the herbs will benefit from 1 to 2 inches of compost or leaf mold worked into the ground once or twice during the growing season. Trim the herbs for use as often as desired. Frequent trimming will encourage full, bushy growth. Plant perennial herbs in a separate area as the planting area for annual herbs will require cultivation every year. If the soil in your area is especially poor, cultivate the soil six to eight weeks ahead of time, and work in 4 to 6 inches of well-rotted manure.